This mega crossbow unit packs a whopping 150 pounds of pure power!! The entire unit is constructed of solid steel with a black hard plastic overlay to prevent scratching and chipping. Measures 28" from the head of the bow to the foot of the barrel. Great for serious competition shooting and target practice. Unit includes 2 arrows with 2 field tip darts, Laser sight sold separately. Shoots an amazing 350 Feet Per Second. 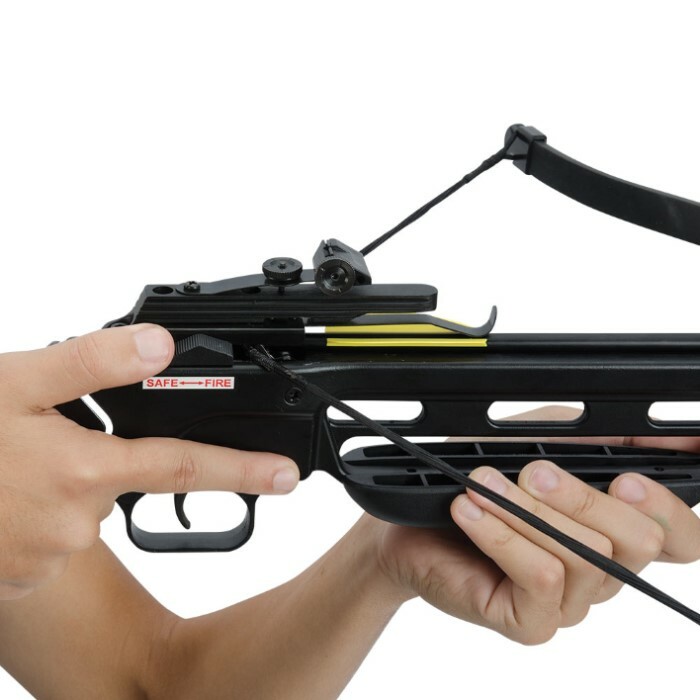 This is great for first crossbow. First shot is worth it. Price is amazing for what your getting. 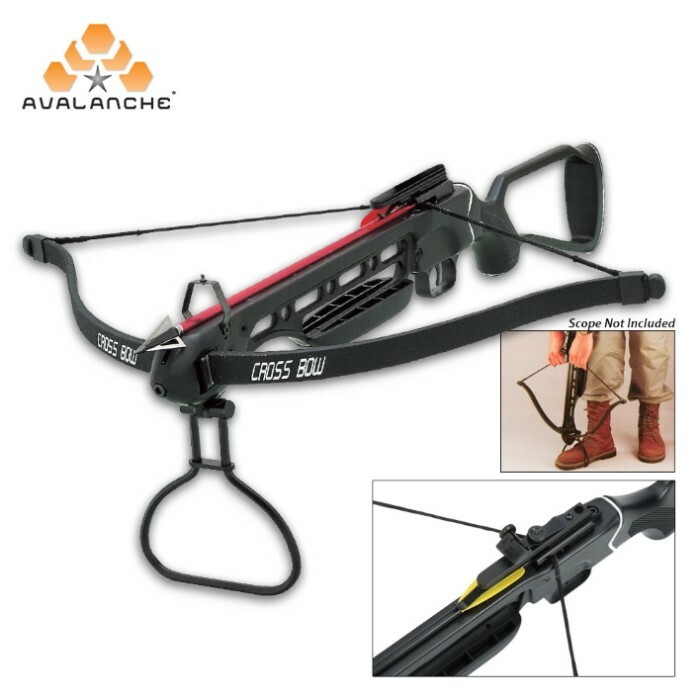 It is a 80LB Crossbow but the product shows it as a 70LB Crossbow. You'll need a second pair of hands to string this as well. Great buy all around. If you must get your gear on a tight budget, this no frills type of weapon is the way to go. Without the many extra cables and pulleys, and complex systems of more expensive crossbows, it is my opinion there is less to go wrong on a weapon of this sort. 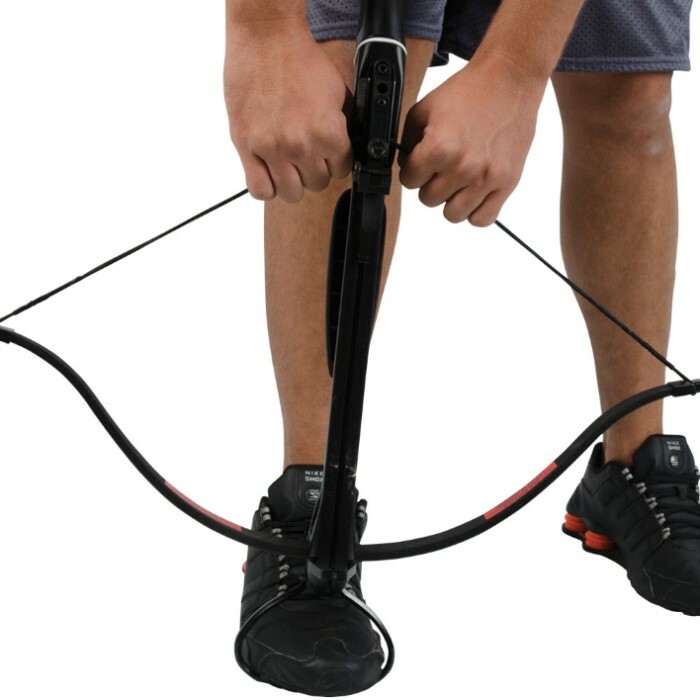 Heck, in a real dire situation, replacement strings, even replacement bow limbs could be improvised to replace broken equipment. This is just a good solid, basic functioning weapon, with no frills, with surprisingly good quality for the very attractive price. At first when i opened it i was happy to see that it was not as bulky as my neighbors and was a higher pounds and was lighter to. He got his out and shot it at a tool shed and his arrow went only a few inches in and he had weighted arrow and a hunting tip and my new smaller non compound crossbow went to the feathers and the practice tip fell off of the end. though the power is amazing it also helps make it harder to find the arrows that miss or the ones that ricochet and also the sights and the trigger are off. but this is a good weapon and it did show up a 400$ compound crossbow. mine only came with the standard iron sights which i actually could not sight in properly... i flattened the rear sight and it was still not enough. so i bought a $15 baraska scope and now this thing is dead on. It is what it is, itâ€™s a cross bow under a 100$. TBH I really didnâ€™t expect much but for the price itâ€™s pretty good for home defense. The sight mount was junk and broke off easily. You'll have difficulty trying to find a shoulder strap that will fit that. The stock is made out of solid aluminum so trying to drill holes in it to screw in a shoulder strap is impossible without special tools. You'll need to have it stringed professionally too; even with a stringer itâ€™s impossible. The two plastic ends that attached to the prod or limb should really be glued on with some form of epoxy. But itâ€™s cheap and it gets the job done, make no mistake this thing is a killer.